When the Switch port of Plantera was revealed, it was met with a mixed reaction, but having spoken with Ratalaika Games today, the decision for the port has paid off! 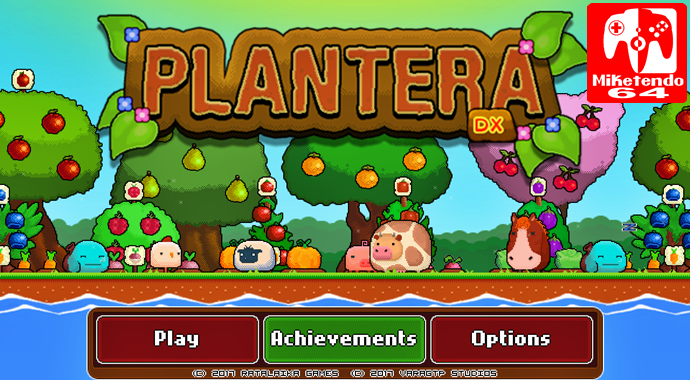 According to the Spain based dev/publisher, whom first brought the farming simulator to 3DS and Wii U this year, Plantera DX has sold more copies in 10 days (Plantera DX released on the Japanese eshop for Switch on the 8th of June), than Plantera has for Wii U and 3DS in both North American and PAL regions. They also reiterated the fact that Plantera has been their [Ratalaika Games’] best-selling game, with the majority of sales coming from Japan. Furthermore Ratalaika Games have said that although the Switch version has yet to surpass the Japanese sales for 3DS and Wii U, Switch sales are catching up. It would have been nice to share the exact numbers, but due to a NDA, sales numbers are confidential. Regardless though, Plantera still proves to be big in Japan as even now it takes 12th place in the Japanese eShop charts and should the sales continue going the way that they are, the Western release might just happen a little bit sooner. That would be something.